P Colmant (best Blanc de Blancs), Elunda Basson JC Le Roux (best Rosé & Museum Class), Johnnie Calitz from Anura (best Brut and Overall Winner) & Joaquim Sa from Amorim Cork. The Paarl wine region brought the sparkle to this year’s Cap Classique Challenge with Anura Vineyards’ MCC Brut 2011 winning the award for Best Producer as well as coming out tops in the category for Best Blended Brut. This wine, a blend of Chardonnay and Pinot Noir, beat 112 other entries into top spot in the 15th running of South Africa’s leading competition committed exclusively to Cap Classique. The annual Cap Classique Challenge is hosted by MCC Association in association with Portugal-based cork company Amorim, the world’s leading supplier of cork wine stoppers and other cork products, whose closures are found on the world’s most prestigious wine brands. This year’s Cap Classique Challenge saw a change in judging procedures in that categories were narrowed, with judging no longer being done separately on vintage and non-vintage wines. Cap Classiques were judged in the following categories: Blanc de Blancs, Rosé, Blended Brut and a Museum Class for wines including and before the 2008 vintage. 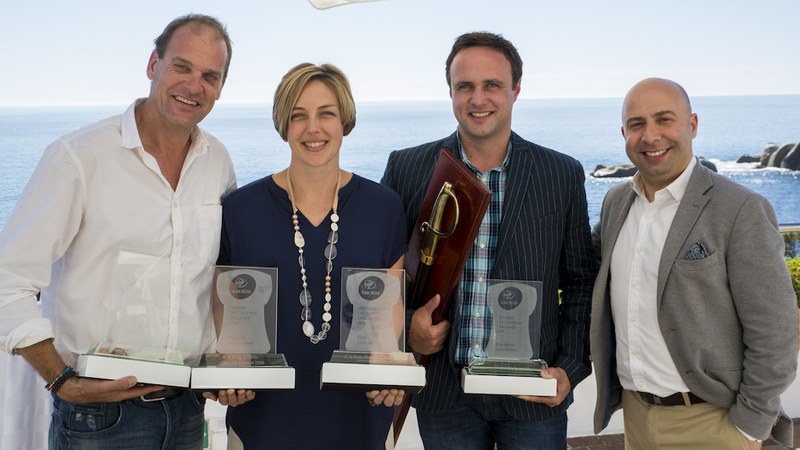 To promote inclusivity among producers, entries were open to non-members of the Cap Classique Producers Association. The House of JC le Roux, one of South Africa’s premier Cap Classique producers, took two trophies, winning the Rosé section with the JC le Roux Pinot Noir Rosé 2010 as well as the Museum Class with the JC le Roux Scintilla Vintage Reserve 2008. JP Colmant won the trophy for Best Blanc de Blancs with the Colmant Brut Chardonnay MCC non-vintage. Allan Mullins, Cape Wine Master and chairman of this year’s panel of judges, says the judging panel were left bubbling with enthusiasm for the quality and the consistency of the wines judged. “In previous years there have been a fair percentage of unacceptable Cap Classiques,” says Mullins. “We found wines made with unripe grapes that were distinctly green and acidic, others that had been released too early and lacked flavour, and those that showed clumsy handling in the cellar. According to Mullins, the panel especially found the Blanc de Blancs Class a big improvement on previous years. “Wooding of the base wines was evident, but this had been well judged and subtle. There was a move towards broader wines rather than austere acidic examples,” he says. The Rosé Class showed a wide variety of colours with the panel unanimously preferring the lighter onion skin, salmon tones. 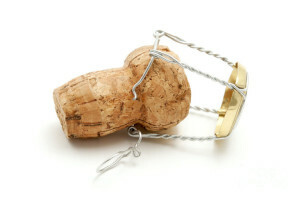 “The Brut Class of blends included both vintage and non-vintage wines. The feeling was that these wines are going in a very positive direction with increasingly confident winemaking,” he says. Mullins says the Museum Class ended the judging on a most agreeable note, with the trio of gold medals showing how well quality Cap Classique can age. Joaquim Sá, managing director for Amorim South Africa, said that there are approximately 220 Cap Classique producers creating 300 brands, some of which count among the strongest wine brands in the country. “These producers are responsible for a product that in 2015 sold 3,5m bottles in South Africa, with another 2,5m being exported to Africa, Europe, the Far East and America,” he says. “Compare that to 15 years ago – the first time this competition was held – when local sales of Cap Classique just edged the 700 000 bottles per year mark. The increase in popularity of Cap Classique among South African consumers is evident, reflected by strong growth, year-on-year. He says that although there can be no doubt of the superb quality of the product, Cap Classique has a new challenge today. “And that is improving the presence of strong brands. This is due to the stratospheric inroads made by Champagne in South Africa, where over 700 000 bottles were sold last year with annual growth of this imported product edging 20%,” says Sá. He says the future challenge for Cap Classique will be no different from the challenges facing the South African wine industry as a whole. “This is creating strong brands and deploying more aggressive marketing initiatives to ensure Cap Classique continues to grow in the market-place. Because the challenges in that market-place are not from local, home-grown products, but from international behemoths. This year’s judges were: Allan Mullins (Chair), Jeff Grier, Higgo Jacobs, Cathy Marston, Paul Gerber, Linley Schultz and Heidi Duminy. Sandile Mkhwanazi joined the panel as associate judge.